Some of the most popular games in the casinos are blackjack, roulette and craps. Among all those three, the regular casino-goer will definitely find one that he or she enjoys. These games are all radically different from each other of course, which makes their almost universal appeal all the more interesting. In this comparison article, we’ll take a look at the most significant points of each. Blackjack first made its appearance in the United States in the late 19th century, although variations of the game were played as far back as the 17th century in France. This means that blackjack is at least three hundred years old. The origins of roulette are a bit harder to trace, with some accounts attributing the invention of the game to French mathematician Blaise Pascal. According to this account, the game stemmed from Pascal’s efforts to develop a perpetual motion machine. Other accounts place the origins of the game in ancient Rome, when a game that utilized spinning wagon wheels was played by soldiers. 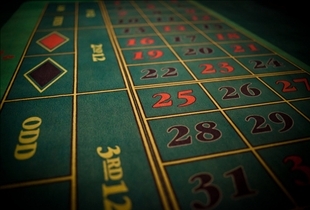 Craps is definitely older than either game, having been played as far back as 2600 BC. It was then that an early version of the dice game was played in ancient Egypt. 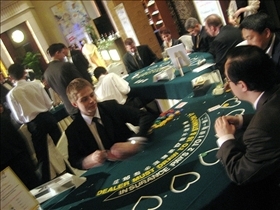 Blackjack offers relatively poor odds for the player, although counting the cards can up the odds slightly to the player’s advantage. While counting cards is as yet not illegal in most casinos, that doesn't stop casino personnel from throwing out anyone who is suspected of resorting to this technique. Roulette offers even worse odds for the player, and most experienced casino players simply prefer card games that offer better odds. The European version of the game does offer slightly higher odds, although it is not enough to sway most of the more experienced gamblers. Craps offers better odds than the two other games, although you do have to stick to the more favorable bets. Played strategically, craps offers fairly good odds compared to the other games in the casino. A lot of blackjack’s allure comes from exciting cinematic depictions of the game, particularly in recent Hollywood movies that deal with casino exploits. Card counting is a large part of this mystique, although as explained previously, you do stand a significant risk of getting kicked out if you are caught. Roulette is one of the most appealing games in the casinos, again because of cinematic depictions of the excitement of the game. James Bond is one of the game’s more famous aficionados, and many players are no doubt drawn to the suave and sophisticated image that he projects while playing. Craps is also considered a very appealing game by most people, and the image of tossing down the dice amidst a group of rowdy spectators is one that appeals to many. Is at least three hundred years old. Which game is most intriguing?